WRIGHTSVILLE BEACH — Town officials are exploring how to meet demand for drinking water after stopping use of a well found to be contaminated with GenX and other per- and polyfluoroalkyl substances, or PFAS, which also showed up at lower concentrations in other town wells. The town announced Tuesday that its only mainland well, No. 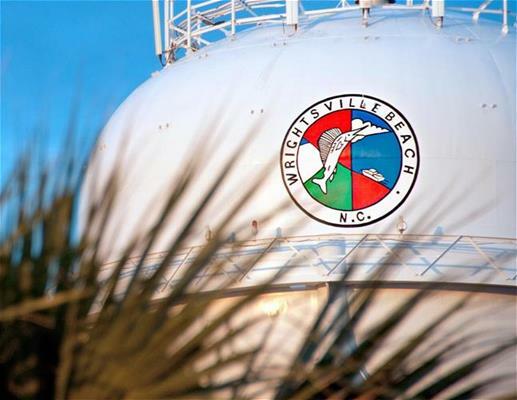 11, which is about 2,500 feet from the Cape Fear Public Utility Authority’s aquifer storage and recovery, or ASR, injection well, had not been used to supply water to the town since late January. The “immediate” action taking the well offline came after a meeting Jan. 31 with CFPUA representatives who expressed concerns that the town’s mainland well could be contaminated, based on the authority’s testing. Sampling from the well showed GenX levels had remained stable, compared to prior testing, at about 37 parts per trillion, lower than the state’s health goal of 144 ppt, but also indicated that other PFAS were present at the well site. 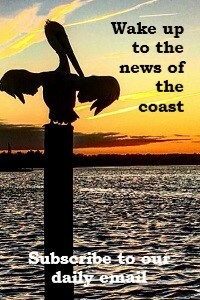 The town also tested its two wells near the Atlantic Intracoastal Waterway and others. Test results were positive for lower PFAS levels at wells that remain in use. The town said it had tested other wells but had not received results. 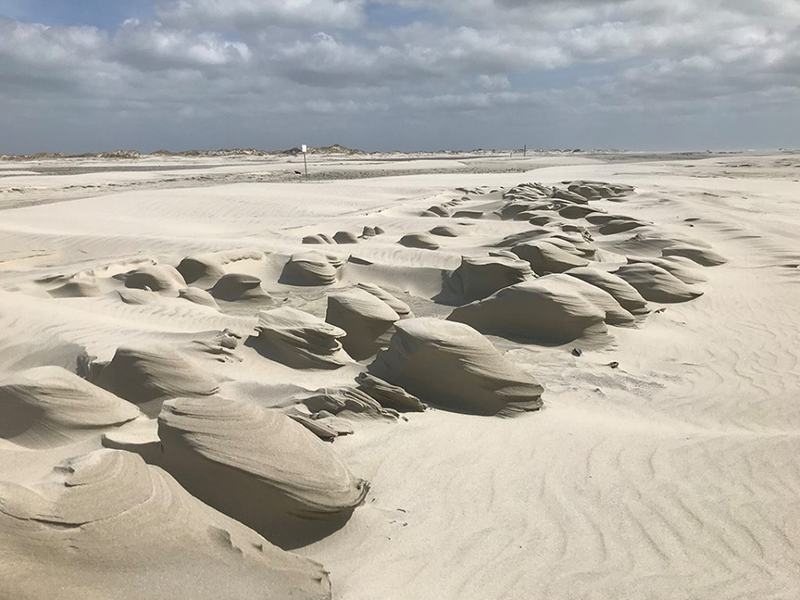 CFPUA announced Wednesday that its board of directors had approved a special temporary bulk water rate for Wrightsville Beach. The board also authorized Chairman William Norris and CFPUA staff to negotiate an interlocal agreement with the town regarding terms of the special rate. The special rate, 65 cents per 1,000 gallons, is designed to be a short-term option, providing a supplemental water source to address a regional issue. It would be available to Wrightsville Beach during the summer season over a three-year period. The normal bulk water-resale rate is $3.48 per 1,000 gallons. The special mutual-aid rate will be recalculated annually to account for changes in prices for inputs such as chemicals and energy. An interconnect already exists between CFPUA’s and the town’s water systems, for use in case of emergencies. CFPUA said in February it was still working with state regulators to determine the extent of effects on the community from decades of PFAS compound releases by Chemours and DuPont, including its ASR well, of which testing had shown “varying levels of PFAS” after the authority had stored PFAS-tainted water from the Cape Fear River. Wrightsville Beach on Jan. 31 joined the Cape Fear Public Utility Authority and Brunswick County in a lawsuit against DuPont and Chemours over the contamination. The plaintiffs seek compensatory and punitive damages, injunctive relief to abate the nuisance allegedly caused by the defendants and other relief. “As has been widely reported, Du Pont, and its successor Chemours, used the River as the dumping ground for countless chemicals while assuring the E.P.A. and state agencies that they were doing no such thing,” the plaintiffs allege. 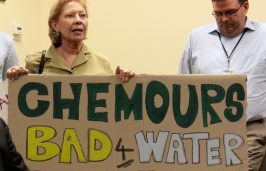 The compounds contributing the “overwhelming majority” to the PFAS concentrations detected have been found only downstream of Chemours’ Fayetteville Works plant, CFPUA said. The compounds are referenced in a proposed consent order that would settle pending claims against Chemours by the North Carolina Department of Environmental Quality and Cape Fear River Watch. CFPUA’s ASR well was designed to store in the Upper PeeDee Aquifer treated drinking water from the Sweeney Water Treatment Plant on the Cape Fear River. During periods of high demand, that water was to be used to supplement CFPUA’s river water supply. CFPUA suspended its pilot program to inject water into the ASR in 2017, after GenX from Chemours was detected in water from the well. The authority later pumped about 50 million gallons of water from the ASR to reduce GenX concentrations below the state Department of Health and Human Services’ health advisory for GenX in drinking water. Last year, the North Carolina General Assembly appropriated $450,000 to CFPUA for work related to addressing PFAS in the ASR. As part of that work, CFPUA said that in late January it sampled water from the ASR to test for levels of more than three dozen PFAS compounds. 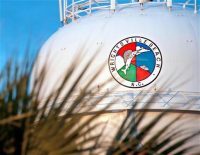 At the same time, CFPUA paid to sample and test water from eight other nearby wells and released the results Feb. 12, after Wrightsville Beach had decided to stop using its No. 11 well.